Tanzania's Bongo Flava king, Diamond Platnumz, survived an accident in California as he was being cruised to his hotel room in the company of his half brother and official, DJ Rommy Jons. 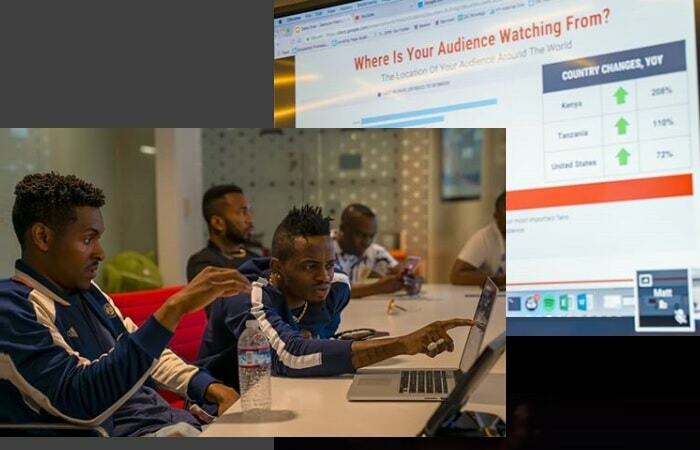 On Jun 22, Platnumz was performing in Oakland, California and after his performance, the singer who was seated at the back with his DJ was busy scrolling on his smartphone when the co-driver called him to smile for a selfie moment, the driver also wanted to appear in the selfie, seconds later, the car crashed. "Dah!! I almost died last night, but God gave me another chance to breathe and continue inspiring and creating more future for my fellow youth." A similar accident happened in Uganda when four students filmed themselves while driving, three of them never got to their destination and the cause of the accident was focusing their attention on the cam while driving. In a related development, Diamond Platnumz bodyguard, Mwarabu Fighter is nursing skull injuries after the Friday accident that almost left him for the dead. 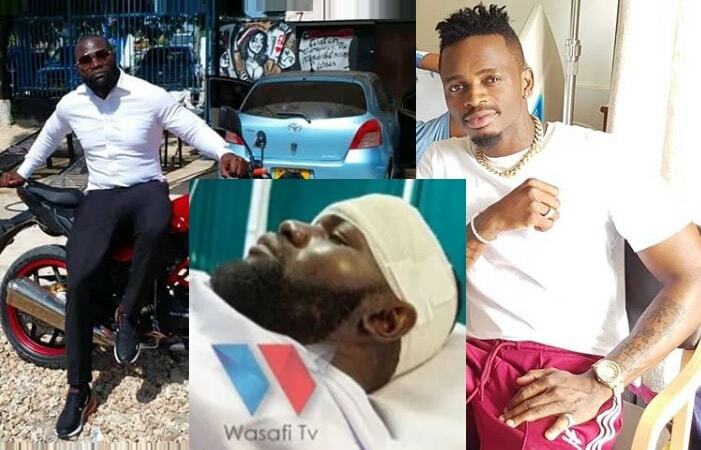 Diamond Platnumz's personal guard of over four years has a cracked skull after his motorcycle rammed into another as they both tried to overtake a lorry. Reports from Muhumbuli hospital indicate that Mwarabu is in a stable condition.